Food-lovers alert: Fine dining isn’t confined to Arizona’s big cities. You’ll find some of the state’s top restaurants in the small towns, many in distinctive settings. Get duded up or go casual chic. At these restaurants the focus is on the food, not your attire. Designed to evoke the dining cars of the early 20th century, when the Fred Harvey Company catered to rail passengers bound for such outposts as Arizona, this Southwest deco restaurant in the historic La Posada Hotel has become a destination in itself. Chef John Sharpe is known for his creative use of fresh, local ingredients, including produce from community farmers markets and meat such as Navajo churro lamb, a native species. Drawing elements from Native American and European traditions, the seasonally changing menu offers plenty for adventurous and conservative diners alike. You can depend on finding such staples as prime rib, Hopi hummus and the signature cream of corn soup swirled with black bean chili. In keeping with the retro-chic theme, there’s a swanky cocktail lounge that mixes up a variety of martinis. One definition of “asylum” is “place of refuge.” Perched on a hill above bustling downtown Jerome and affording sweeping views of the Verde Valley, this stylish dining room definitely feels far away from it all. But its location on the top floor of the historic United Verde Hospital building inspires playful double entendres: cocktails like Liquid Valium, for example, and a candy-filled bedpan at the hostess station. The food is taken very seriously here, however, from the roasted butternut squash soup to such entrées as barbecued pork tenderloin in a prickly-pear marinade or Rocky Point shrimp with tomatillo salsa and cojita cheese. And the Asylum has earned the Award of Excellence from Wine Spectator magazine every year since 2001. Crazy – like a fox. The Hassayampa Inn first opened its doors in 1927, and the hotel’s restaurant recreates the understated elegance of that era with etched-glass mirrors and Erte prints. Fresh flowers, lace curtains and floral tapestry banquettes add warmth to the high-ceiling room. This is the perfect setting to savor Continental classics like escargot a la Bourguignonne, duck a l’orange and sea scallops saffronette, but if that’s too frou frou – Prescott is a prime destination for Old West buffs – baby back ribs, rack of lamb and surf and turf are here for you, too. End your meal with the pot de creme, a creamy chocolate confection that demonstrates resistance to some dishes with frou frou names is futile – and foolish. 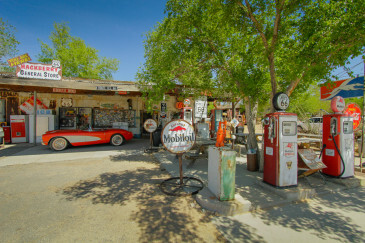 The tiny town of Cave Creek is known for its pristine Sonoran Desert setting, its kicked-back Western attitudes – and, to foodies, for Binkley’s Restaurant, on par with celebrity chef dining rooms in New York and San Francisco. For the full-on experience, order a four-, five- or six-course tasting menu and prepare to be dazzled by Chef Kevin Binkley’s artistry: coconut ginger gnocchi with lobster, perhaps, pan-seared foie gras with strawberry rhubarb confit or a charcuterie plate with house-cured meats. The service is impeccable but never snooty, and Chef Binkley’s creations never fail to surprise and delight. Plan to make this an evening, not a pre- or post anything. Binkley’s is not for the faint of palate or wallet, but you just may have the meal of a lifetime here. You can expect the unexpected in Bisbee, where former miners mingle amicably with artists and ex-hippies. And since 1993, the surprises have included this restaurant in a 1907 brick storefront on the town’s main street. It’s not just the sophistication of the modern American menu that is unusual. It’s rare, anywhere, to find dinners that are inclusive – and very reasonably priced – four-course affairs, including a sorbet palate cleanser (when was the last time you saw that?). Among the regularly changing entrées, determined by what’s available fresh, you might find fillet of salmon with a dijon dill crust or roasted quail stuffed with pine nuts and prosciutto. The romantic, three-tiered room, centered by a mahogany bar and boasting the original pressed-tin ceiling, oozes character.